Just like Leslie Knope, I’ve been scheming ideas for small gifts to give my favorite ladies for Galentine’s Day! 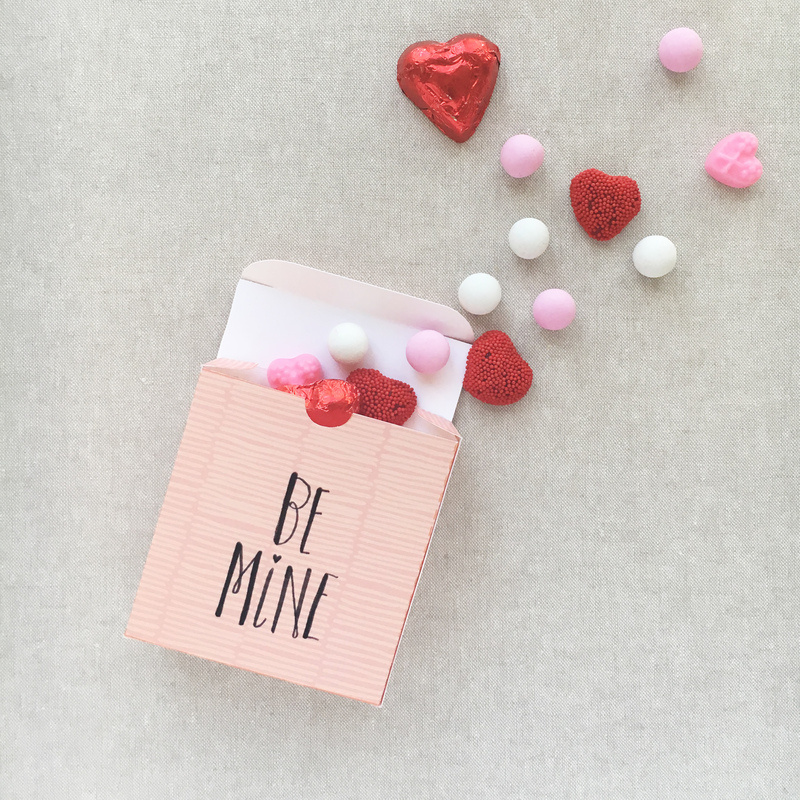 These little treat boxes should do the trick. 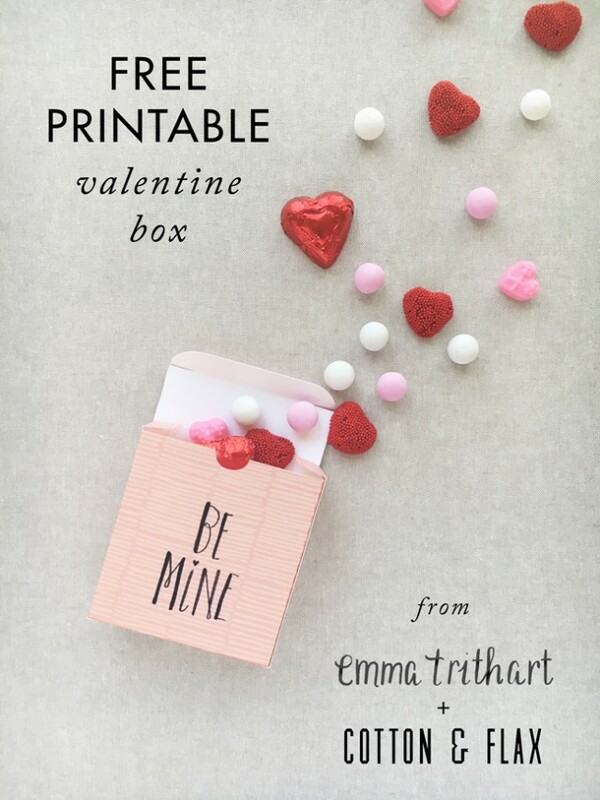 After creating some fun gift wrap for Design Love Fest over the holidays, I’ve been hoping to do more free printables, and I finally got a moment to work on a sweet little project with my friend Emma Trithart! 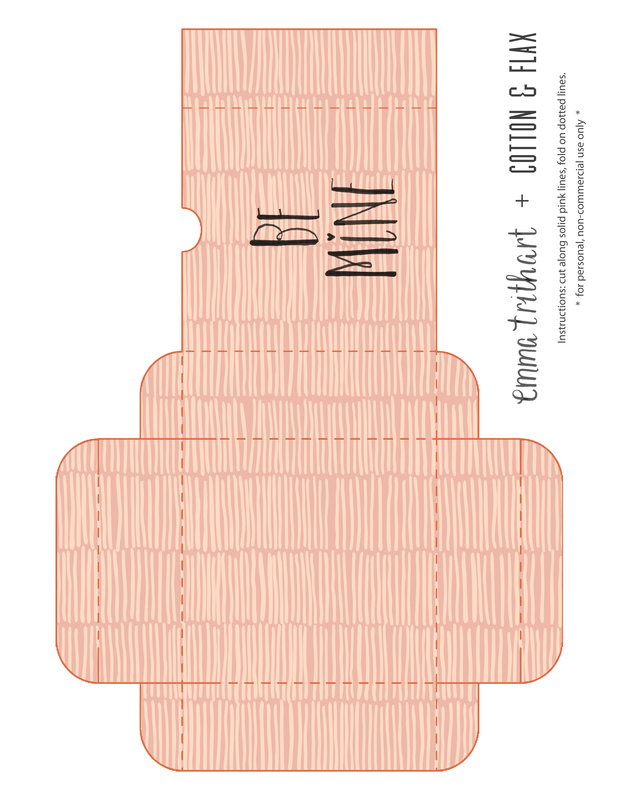 I created a special version of my dense dash pattern in a dusty rose quartz color, and Emma contributed her lovely hand-lettering to fit on this little printable gift box. 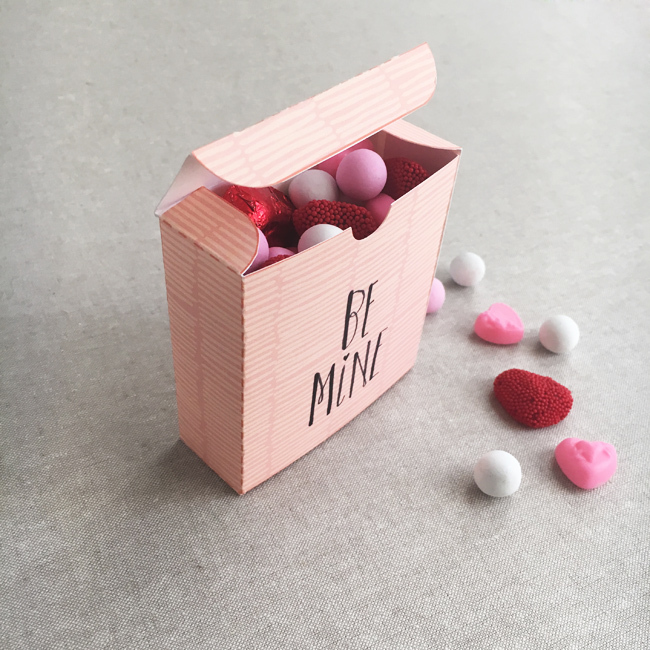 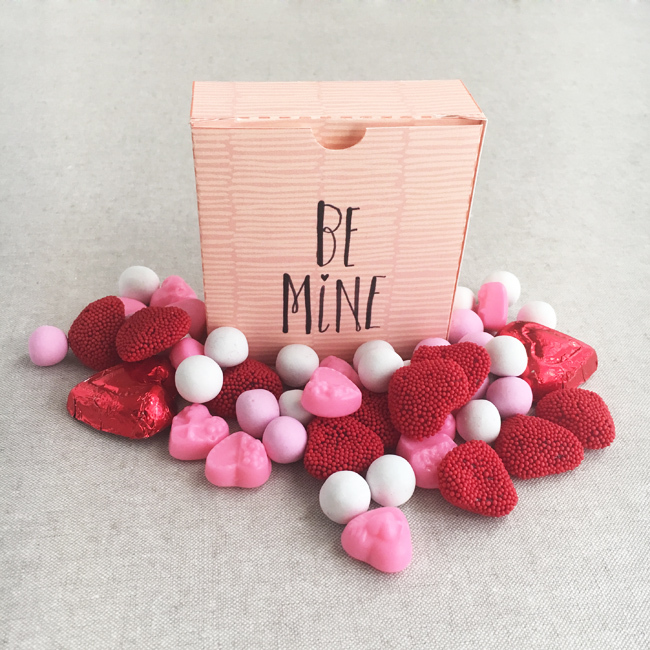 Download the patterned box template, and then cut, fold, and fill with your favorite candy or small surprise!